He wrote music for Guild Wars, Icewind Dale 1, Neverwinter Nights, etc. What is fascinating is that he’s been working on a Symphony #1 ?!?! That is so cool! I was just reading the Wikipedia article for Soule last night! Along with a few other gaming composers. Soule is a hustler! 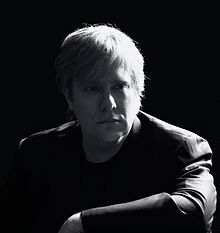 While playing video games as a child, Soule came to believe that the experience they created could be greatly enhanced by having a better musical score. After completing high school, he took a year to create a portfolio showcasing what he felt video game scores should sound like. Soule sent the tape to LucasArts and Square. Square very much appreciated the portfolio; he does not believe that LucasArts ever listened to his tapes as they had a “no unsolicited package” policy. Soule began working at Square in Seattle only two weeks after first submitting his demo tapes. Thank gawd that worked out! Despite hating ArenaNet, the music for Guild Wars is amazing, as is the other works. That is definitely a list worth compiling! I am finally listening to this all the way through.